A cheerful tune awaits you once this simulation has loaded. Navigating quickly to the main menu, you find lots of flashing options. Here you can do just about everything from customising your bike, tuning its performance, to choosing the track to race on. Your first attempts will always end with close studies of grass as you struggle to stay on the road, but with practice, skill and serious consideration of track conditions, etc., you will start to get the hang of things and catch up with your opponents. Once you master your bike, the adequate visuals and effects sit second fiddle to your newly developed biking skills. The sultan's daughter is held captive somewhere in the Kashba. You play Yusuf, the captain of the sultan's personal guard. If you find her within three days, the reward is... the girl herself. In this complex adventure, your task begins gathering information, but this is only the beginning. You'll have to find where to sleep, eat, buy weapons and ammunition, cope with treacherous informers, make your way through hostile quarters (which means, among other things, becoming involved in shootings) and even steal money from peaceful people you come across. Sounds great, doesn't it? Personally, I find this game too difficult (the Kashba is huge indeed) and the gameplay a bit repetitive, but I also think it's worth giving it a try, so you can judge for yourself. There are silly games, and then there are really silly games, of which this is one. From what I can make out, you walk and fly around a house, collecting as much money as you can. The monsters you come across are truly zany and some of them are extremely fast, too! 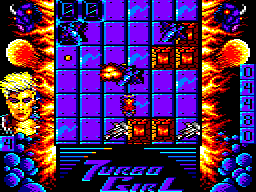 It's a fast and furious game with absolutely no time to take a breather; you're constantly shooting monsters and trying to dodge the missiles they fire at you. Cute graphics and bouncy music add to this to make one of the most bizarre games I've ever played! This game sees you controlling a GEN 19 combat droid who has been assigned the task of repairing Tujad – the main computer. You explore the interior of the supercomputer in search of fifty pieces of circuit board that will fix the fault. Defence droids are on high alert though, patrolling the vast computer complex and attacking anything that moves. The GEN 19 comes equipped with several weapons (with limited ammo) that destroy specific types of droid. It's here that the game demands some skill as certain areas cannot be passed unless you have ammunition. 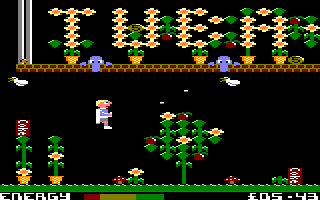 The sprites move and animate without any issues and are colourful. 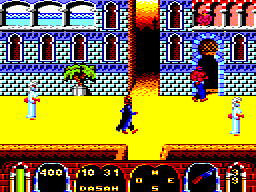 The graphics and sound work well, resulting in a playable challenge. Tuma-7 is a run-and-gun platformer split into two parts. The first part sees you riding a motorbike at breakneck speeds in an alien-type world combatting various different creatures in a platform environment. 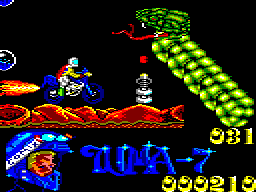 In the second part, you lose the motorbike and you take on more human-like enemies face to face, again in a platform environment. The sprites look very similar to those found in other games but much, much bigger. Like most Spanish CPC games, this one has loads of colour with some outstanding graphics and really cool firepower; you can use both joystick buttons to fire a laser or huge rockets at your enemy. However, the gameplay is poor, it's hard to control your characters, you get stuck in places and it seems very difficult to advance further at times. 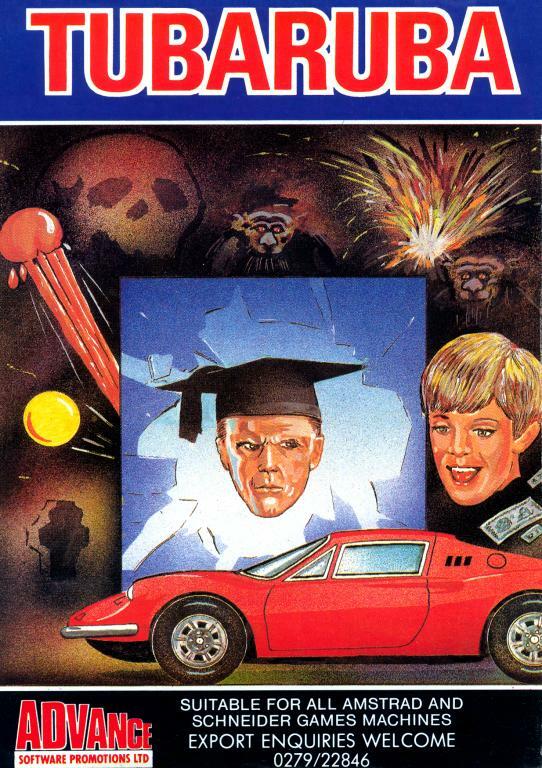 It's not a Code Masters release, but the use of the word 'simulator' is definitely misleading. 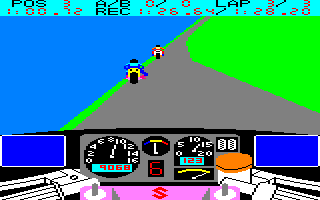 You control a speedboat which has strayed into hostile enemy territory. There are eight levels, and on each of them, you must collect parts of a map that are dropped by the aeroplanes that fly overhead. You've also got to shoot or avoid submarines, planes and helicopters – if you are hit ten times by them, you lose one of your three lives. Crashing into the shore is not a good idea, either! 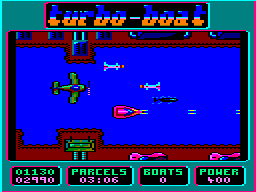 The graphics are adequate and the sound effects are all right, although the music on the menu is fairly good, but it's too difficult to avoid taking hits, and the waterways are quite narrow as well. This game isn't bad at all – in fact, it's really rather good. Fly your helicopter around 31 screens, destroying bricks, tanks, planes, guns and other things. There are two types of weapons you can use; there's the standard missiles, and bouncing bombs – but be careful with these, as they can easily bounce back at you! You've also got to squeeze your helicopter through some very narrow gaps and be very precise. It sounds like a difficult game, but a little practice will get you through the first few screens easily. The colourful graphics and good sound effects help to make this a simple but addictive game. Endorsed by French rally driver René Metge, this racing game lets you get behind the steering wheel of a Porsche 944 and drive around four French tracks – Magny-Cours, Dijon, Nogaro and Paul Ricard – as fast as you can, and try to beat twenty other drivers. Firstly, you must qualify, and then the race itself consists of just two laps. Driving the car is fairly simple, although if you approach any corners too fast, you will spin off. Unfortunately only automatic gears can be used, but if you hold down the fire button, you can maintain your speed through the corners. 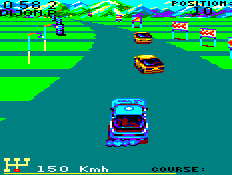 The graphics and animation are excellent, especially when you crash, and although the computer-controlled drivers are rather unfair at times, this is still a great racing game and well worth a try. Another average game with a sub-average plot. It's the usual futuristic shoot-'em-up, and the heroine who's out to save the day is some leather-clad biker chick – well, the loading screen certainly suggests that. Waves of spaceships and meteorites come at you, but you've also got to negotiate the network of platforms, pipes and walls. The breathtaking graphics and the nice music don't cover up the fact that it's ridiculously difficult, and completing the first level seems to be almost impossible. 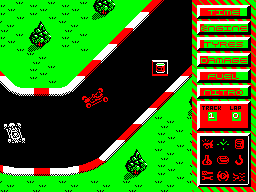 I like go-kart racing, but I do not like this game at all! As you might have guessed, you have to race your kart around four tracks and complete a set number of laps before your time runs out. Along the way, there are nine types of collectable bonuses which you can collect and use on your next visit to the pits. You've also got a small amount of nitro to boost your speed on the straights or catch up on your opponents. Any sense of enjoyment quickly disappears as you wince at how slow the game is, and the sound effects are abominable. 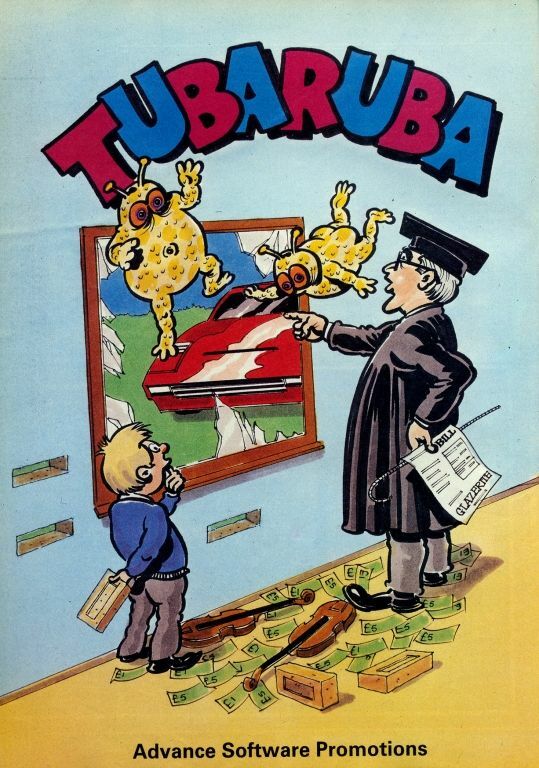 'Turbo'? No way!